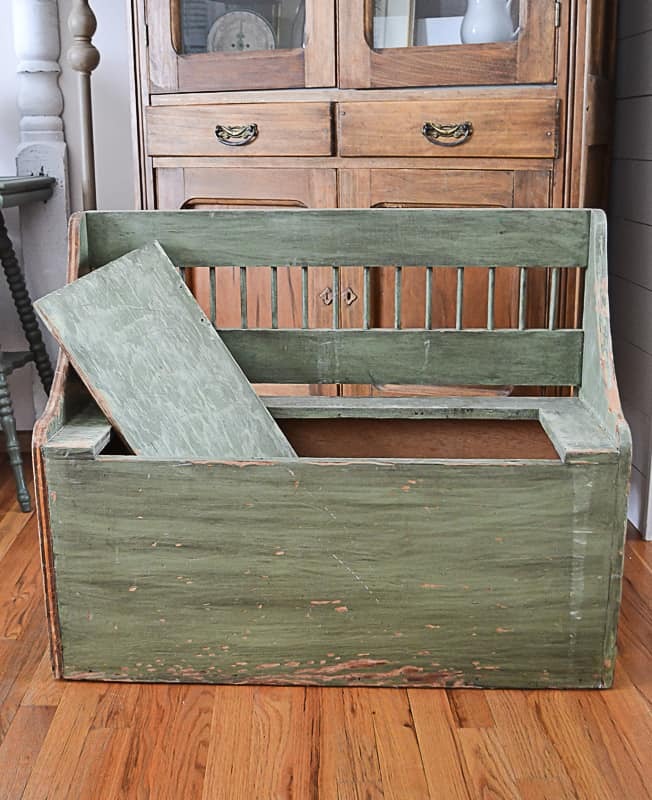 Wooden Toy Box That Will Keep Toys Put Away & Out Of Sight! 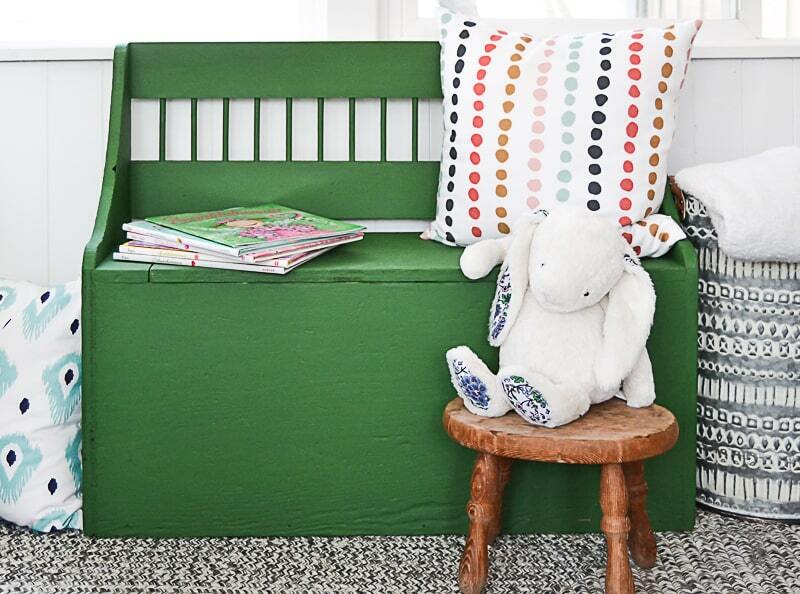 I want to thank Zibra Paint for partnering with me on this Wooden Toy Box Makeover. All opinions are my own. If you have kids, toys are a part of your home’s makeup. Over the years of having my own kids and then doing an in-home daycare, I found a lot of great ways to organize toys that didn’t make your entire house look like a toy store. In our living room, I always had a wooden toy box with a lid so the kids could put the toys inside and we could shut the lid and not see them. Living in a smaller home, I had to come up with creative ways to store toys that made them assessable to the kids, but kept our house looking like a home. 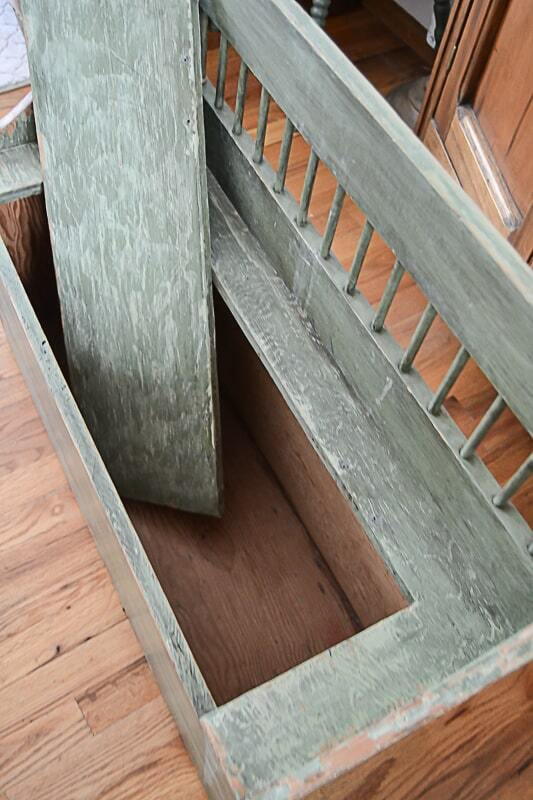 A wooden toy box is your best friend if you still have little kids with lots of toys. 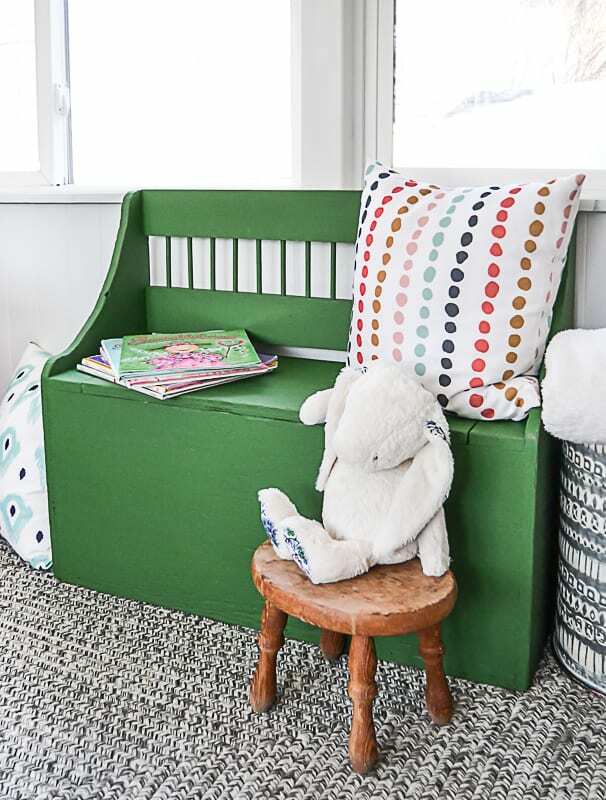 I have picked up many different toy box candidates over the years and when I saw this storage bench, I thought it would be perfect for storing toys and also great seating for little ones. Even though our kids are getting older and I am no longer doing daycare, I still had to bring this home and breathe new life into it. 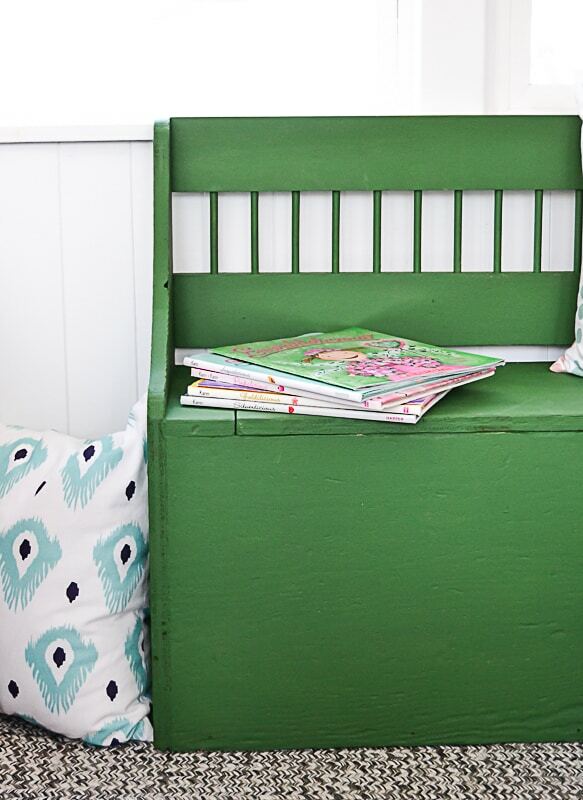 The color on the wooden toy box was not bad, but it was so worn that I had to repaint it. 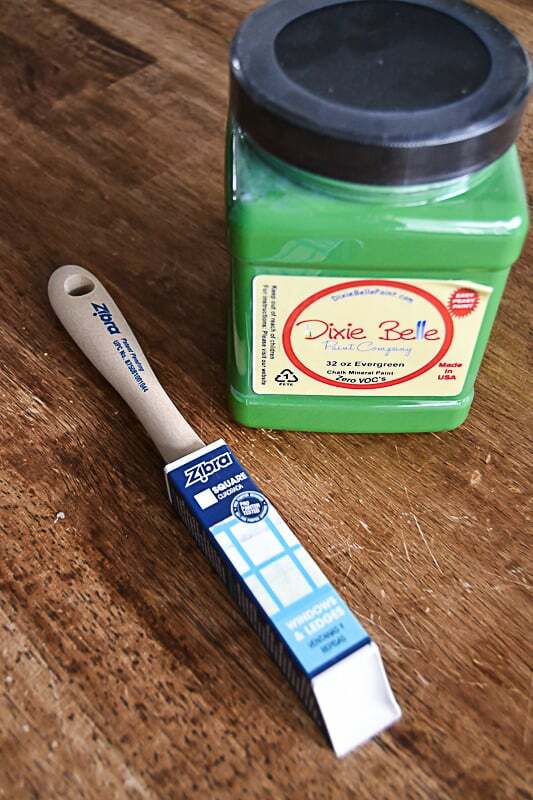 If you have been here for some time, you know I have a weakness for anything green and I was super excited to try Evergreen by Dixie Belle Paint on this toy box. It reminded me a lot of the color I painted my desk so I knew I would love it. 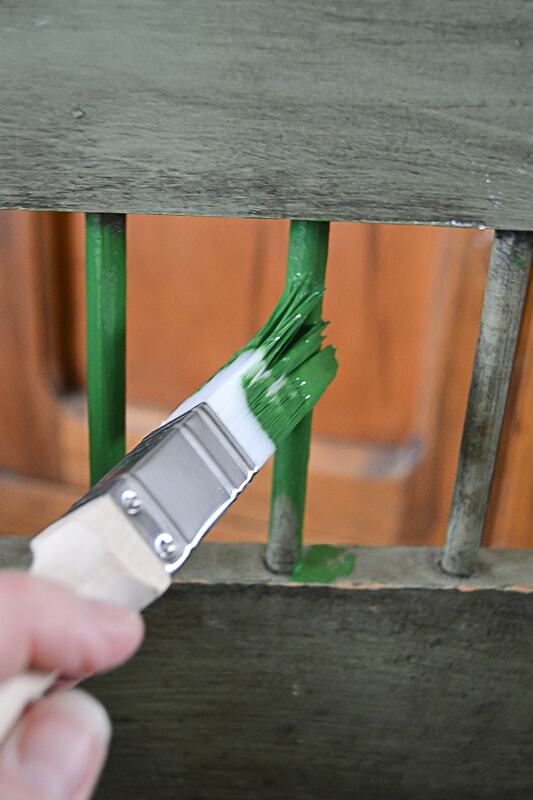 When I have spindles and more detailed projects to paint, I never fret like I used to because Zibra Paint Brushes have made all the difference. For this project, I chose the square brush. It made easy work of the spindles on the toy box. I had this entire thing painted (2 coats) in about thirty minutes. I have said it over and over again, if you do any kind of painting, you must try these brushes. Your painting game will be changed forever. The lid was missing the hinges when I bought it at the thrift store, but I knew we had hinges in our stash of supplies and Matt could fix it in no time. I was just thankful the lid was still with it. Look at this toy box now!!! 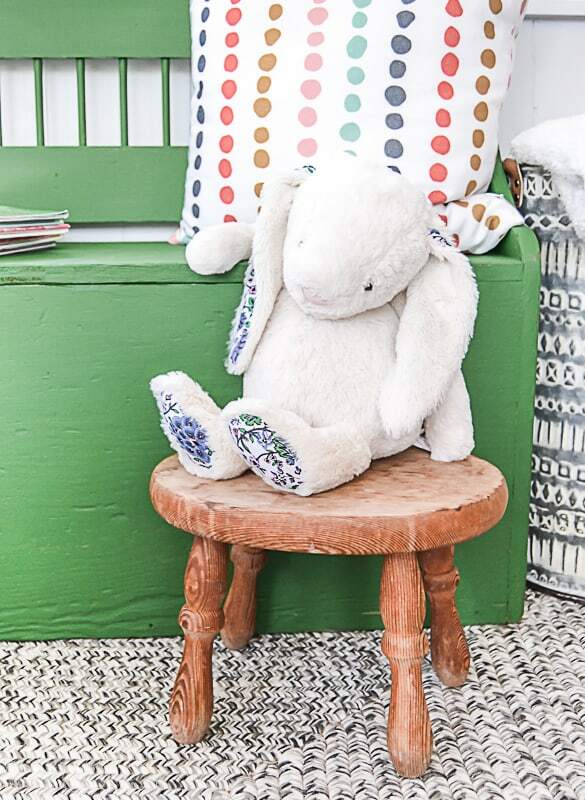 Not only can it function as toy storage, but it is perfect for kids to sit on when they are putting on their shoes. I wish I had found this when I was doing daycare because we would have used it every day. There is a lot of space inside the box and the spindles are a fun detail. Matt and I are pretty sure this was homemade. That makes me love it even more. Gabrielle could still use this bench and has since I have gotten it done. I have carried it around the house in different spots to see if we can keep it. I even thought about water-proofing it and filling the box with potted flowers for spring. I am partial to green so the color makes it a little harder to get rid of. Do you have little ones at home? If so, how do you store and organize toys? Cute toy box! They’ll definitely come in handy especially when toys are always around lying on the floor. Thanks for sharing!